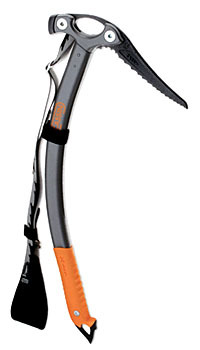 The 50 cm X-ALP is built with the same lightweight design as the X-ALL MOUNTAIN, but features a less radical curve in the shaft for greater versatility on lower-angled technical terrain and glacier approaches. 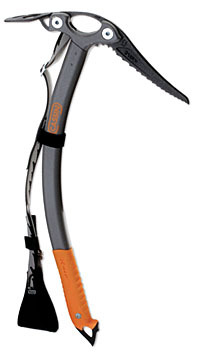 The durable high density X-ALP handgrip holds up to whacking crampons and plunging into sticky snow all day long - and can be interchanged with the X-DRY GRIP for leashless cragging or days at the ice park. Check out the unique "window" in the pick - which makes easy clipping in or out of your harness' racking biner and provides a recessed "no abrasion" attachment point for the padded wrist loop (included). Made in Italy, 3 year guarantee, shipped everywhere.